Title Insurance and Other Title Issues | Combs Law Group, P.C. 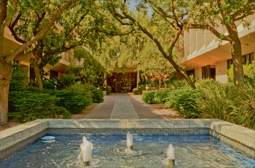 We have a close relationship with several title companies, and can get proper title service quickly and efficiently. We recently purchased a home in Peoria. After we signed the purchase contract, we got a "title commitment." After we closed on the sale, we got a "title insurance policy." What is the difference? 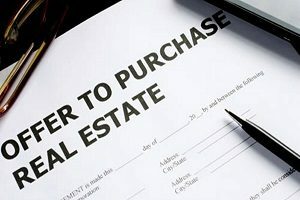 A title commitment (formerly known as a preliminary title report) is delivered to the buyer by the title company without any cost to the buyer after escrow is opened. It has one purpose: to commit the title insurance company to issue a title insurance policy at close of escrow based on the exclusions, exceptions and requirements stated in the title commitment. In 2005, my sister deeded her home to me and my wife. My sister recently died, and we want to sell this home. We thought that the title to this home was free and clear because the mortgage was paid off years ago. The title commitment, however, shows that in 1994 my sister recorded a lien on her home in favor of a bonding company to keep her son out of jail on a drug charge. The bonding company is no longer in business. How can we clear the title to our Glendale home? You may be able to find a title company that will “insure over” this lien with the bonding company. In other words, the title company will give a buyer of the home a “clean” title report without the lien of the bonding company. The reasoning of the title company would be that the “reward” of clear title through escrow fees and title insurance fees outweighs the minimal “risk” of the defunct bonding company enforcing this 1994 lien. If a title company will not “insure over” this lien of the bonding company, you will have to file a quiet title law suit naming the bonding company as a defendant. The bonding company can be served by a newspaper publication, and assuming that the bonding company is defunct and does not answer the lawsuit, you should receive a default judgment extinguishing the lien of the bonding company on your home. My daughter and her boyfriend have lived together for almost 15 years. The deed says joint tenants with right of survivorship. In other words, if one of them dies the survivor getsthe home. They have shared the costs of the mortgage and the maintenance of the home. Her boyfriend has been very sick with diabetes this last year. Without telling my daughter, the boyfriend signed a deed to the home to his 22-year-old daughter. Who owns the home now? What happens if the boyfriend dies? When the boyfriend deeded the home to his adult daughter, the joint tenancy with right of survivorship with your daughter was terminated. Your daughter and her boyfriend’s daughter now own the home as 50-50 tenants in common. Your daughter’s boyfriend no longer has any interest in the home, and his death would have no effect on the ownership of the home. Note: Although a transfer by deed of a home owned as joint tenants with right of survivorship interest terminates the joint tenancy, a mortgage or lease by one joint tenant generally does not. In other words, if your daughter’s boyfriend had taken out a mortgage on the home, your daughter and her boyfriend would probably still own the home as joint tenants with right of survivorship. 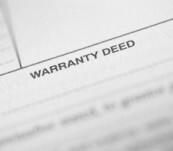 What is the Difference Between a General Warranty Deed and a Special Warranty Deed? Under a general warranty deed the seller warrants that the title being transferred to the buyer is valid and free of any title defects back to the beginning of time. A special warranty deed warrants title only for the time period in which the seller owned the property. The distinction, however, between a general warranty deed and a special warranty deed is generally immaterial if the buyer has title insurance. Hi Pam and Chris, Thank you very much for all your help. I couldn't have done this without you both. Dear Mr. Combs and Associates, I wanted to reach out today to thank all of you for being so professional, friendly, and compassionate throughout the time you have had my case. I would like to especially thank Chelsea for handling the deposition so brilliantly. This has been a very long two years for me but I finally feel vindicated and hopeful. I'm very confident moving on that this will be resolved in my favor very soon. Thank you again.